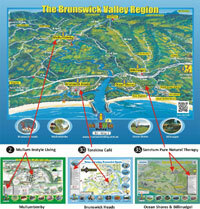 Helping shape the Brunswick Valley community for future generations to enjoy ! The Brunswick Valley has many community based groups which all work hard to make the valley healthy and safe for all to enjoy… Many of these groups and organisations are made up of volunteers who give freely of their time, skills and expertise. Access our community fundraising project.